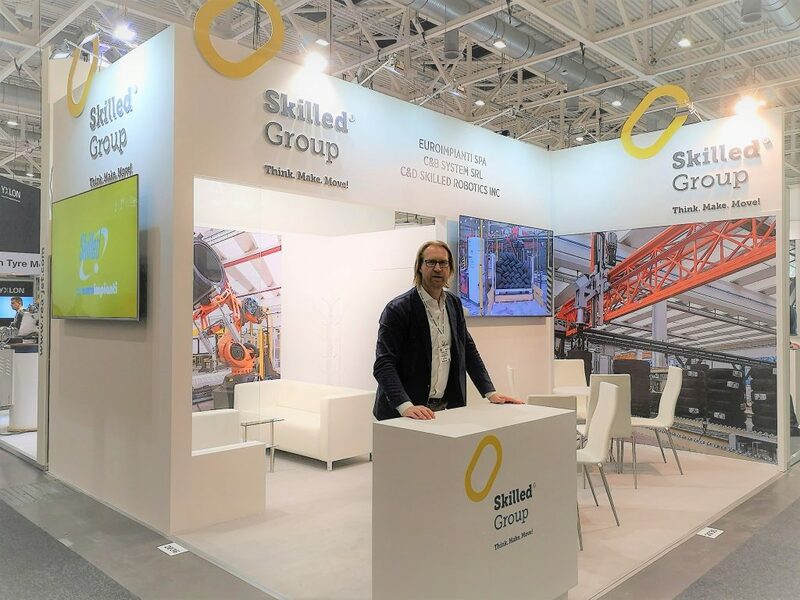 The 19th edition of the International tire fair, Tire Technology Expo, in which Skilled Group once again will take part, will be held in Germany at the Hannover Exhibition Center, from 5th to 7th March. Tire Technology Expo is Europe’s most important international gathering of tire manufacturing experts, making it a fantastic opportunity to view and debate all the latest innovations in materials, chemicals and machinery. The list of hot topics to be discussed in Hannover next February includes automation, big data and Industry 4.0, intralogistics, production efficiency, tire labelling and RFID tagging. In this occasion Skilled Group will show the Skilled® Gantry Robot CGR-1000, the most versatile gantry for multi-SKU applications, designed and patented to handle payloads up to 1000 kg. We would like to receive your visit: Hall 20, Booth 2036.